Barcelona legend Rivaldo says Manchester United have no chance against his old club, offers advice to Diego Costa and talks up Vincius Jr.
"Ajax are one of this season's sensations in the Champions League and Juventus must be wary of their qualities in the second leg. Let's not forget that Ajax won 1-4 at Bernabéu." Barcelona produced a solid display against Manchester United and deserved to win. In my opinion, they almost decided the tie in the first leg, as I believe they'll qualify comfortably. I can't see any big danger coming from Ole Gunnar Solskjaer's team. On Wednesday at Old Trafford, I saw a Barcelona team that were always in control away from home. 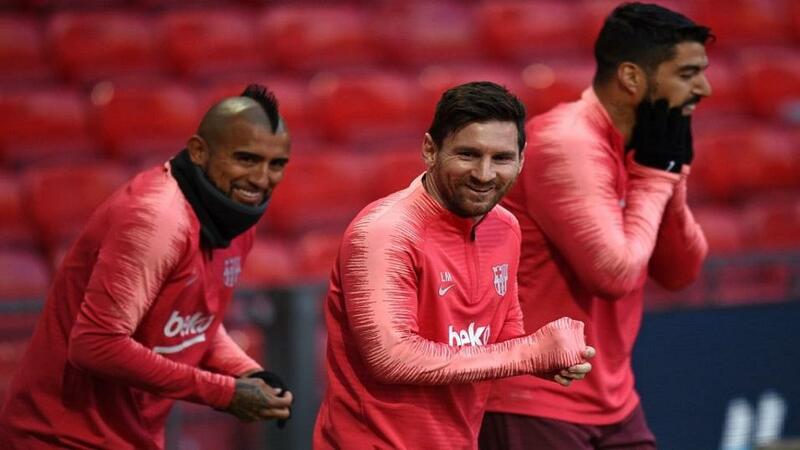 United surprised Paris Saint-Germain in France in the last round but I don't believe they can repeat such heroics at Camp Nou, especially as Barca know about the result United achieved in Paris and will be alert to the danger of a comeback. Barcelona are better prepared than PSG and the way they play, constantly having possession and stopping their opponents creating many goalscoring opportunities, convinces me that United have no chance of upsetting the odds in Spain, as the price of [7.8] on an away win in the second leg suggests. Manchester United are a big club and they were playing at home on Wednesday, so it was disappointing to see how they approached the game, focusing on their defensive organisation instead of trying to hurt Barcelona. Barcelona had full control of the match throughout and it was a poor showing from United, in my opinion. Paul Pogba is one of United's biggest asset and, even though he's already playing for a big club, it's normal see him associated with other powerful clubs. The Frenchman has recently been associated with Real Madrid and he would certainly be a good signing for them. There is no way of denying that he is one of the best midfielders playing in Europe. Lionel Messi was heavily disturbed and booed at Old Trafford. I don't feel that's surprising, as many fans try to help their team by disturbing his rival best players. I had to deal with that as a player and I don't feel it like it's a problem or an atypical situation. For me, it's part of the game. The fans try to help their team in the way they can. This Tuesday at Camp Nou, Messi and his team-mates will play much better than they did away from home. And having managed to win at Old Trafford, I ancticipate another win - a comfortable one - against Manchester United inn the second leg. Luis Suárez continues to convince everyone. When he was in poor form earlier in the season, I always defended him, and said it was just a phase, and that the Uruguayan would return to be the lethal forward that we all know. Now he is proving me right with goals in almost every game and even when he doesn't score, he end up being important for the success of his team. After beating Atletico Madrid and practically sealing the La Liga title, it's almost guaranteed that Ernesto Valverde will rotate his squad against Huesca this weekend. He'll want to rest his most important players for the Champions League commitment against United. Barca have a deep and strong squad and no one thinks they can lose enough points to reignite title race in Spain, so Valverde can afford to rotate. The match against Atleti was - in part - decided by the early Diego Costa sending off due to him insulting the referee and now he faces an eight-match suspension. This certainly isn't the ideal scenario for the player and he should learn to control his emotions. Anyway, these are things that happen in football, and sometimes in decisive matches players explode easier because of their passion. I don't believe Diego would repeat anything like this ever again. Vinícius Jr. is proving his value, coming from Real Madrid's reserve team to being an important player in the first team. On top of this, his inclusion in the Brazilian national team looks a certainty in the future. He is one of Brazilian football's emerging stars and it seems clear to me that he will wear the famous jersey for many years. But there is another Brazilian shining in Europe right now. David Neres scored yesterday against Juventus after a beautiful finish. His team, Ajax, are one of this season's sensations in the Champions League and Juventus must be wary of their qualities in the second leg. Let's not forget that Ajax won 1-4 at Bernabéu. Neres is another player that could be make big impact on Brazilian national team in the future.